The Charlotte Douglas International Airport (CTL) is one of the busiest airports in the country. It is also an airport where the laws on carrying a gun into the airport are taken very seriously. People who violate the laws can have their guns confiscated and may be arrested. This can result in very serious consequences for a person’s life once he has completed his sentence, including the loss of his gun, the loss of his permit to carry a gun, and a permanent criminal record. To prevent an inadvertent mistake turning into a disastrous criminal situation, you should know the gun laws at the CTL airport if you plan to travel with a gun. What Are the Laws on Carrying a Gun at the CTL Airport? Police officers, sheriffs, law enforcement agents, conservation police officers, conservators of the peace employed by the airport, and certain retired police officers are exempted from the rule. Passengers are exempt from the rule if they are transporting a lawful firearm, weapon, or ammunition to a U.S. customs official in advance of an international flight, are carrying the items in luggage being checked in, or retrieving them at the baggage claim area. Carry a firearm, weapon, or ammunition into the terminal whether as a passenger or a person dropping off or picking up a person in the airport. 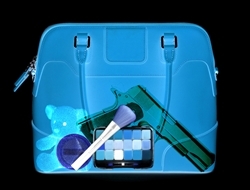 Carry a firearm, weapon, or ammunition in carry-on luggage. What Are TSA Laws Regarding Carrying a Gun in the Airport? You must also check and comply with the specific rules of the airline you are using as to their rules for checking in any weapon or ammunition. What Are the Penalties for Conviction of Carrying a Gun at the CTL Airport? North Carolina conviction. This is a Class 1 misdemeanor with a sentence of up to 120 days in jail and a discretionary fine to be set by the judge. Federal conviction. Under U.S. Department of Justice rules, you could face up to one year in prison and a fine of up to $100,000. If you have been charged with a gun crime at the CTL airport, you need an experienced criminal defense attorney to help you build your defense so that the charges are dropped or reduced as much as possible. Call our office or start an online chat to schedule your free case evaluation.